Here’s an opportunity to find out some lesser-known facts about Social Security. 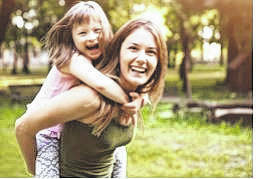 Social Security pays benefits to unmarried children whose parents are deceased, disabled, or retired. See Benefits for Children at www.socialsecurity.gov/pubs/EN-05-10085.pdf for the specific requirements. Most people know that when a worker dies, we can pay benefits to surviving spouses and children. What you may not know is that under certain circumstances, we can pay benefits to a surviving parent. Read our Fact Sheet Parent’s Benefits, available at www.socialsecurity.gov/pubs/EN-05-10036.pdf, for the details. Your full spouse’s benefit could be up to 50 percent of your spouse’s full retirement age amount if you are full retirement age when you take it. If you qualify for your own retirement benefit and a spouse’s benefit, we always pay your own benefit first. (For example, you are eligible for $400 from your own retirement and $150 as a spouse for a total of $550.) The reduction rates for retirement and spouses benefits are different. If your spouse is younger, you cannot receive benefits unless he or she is receiving benefits (except for divorced spouses). If you took your reduced retirement first while waiting for your spouse to reach retirement age, when you add spouse’s benefits later, your own retirement portion remains reduced which causes the total retirement and spouses benefit together to total less than 50 percent of the worker’s amount. You can find out more at www.socialsecurity.gov/OACT/quickcalc/spouse.html. 5. If your spouse’s retirement benefit is higher than your retirement benefit, and he or she chooses to take reduced benefits and dies first, you will never receive more in benefits than the spouse received. If the deceased worker started receiving retirement benefits before their full retirement age, the maximum survivors benefit is limited to what the worker would receive if they were still alive. See www.socialsecurity.gov/planners/survivors/survivorchartred.html for a chart.